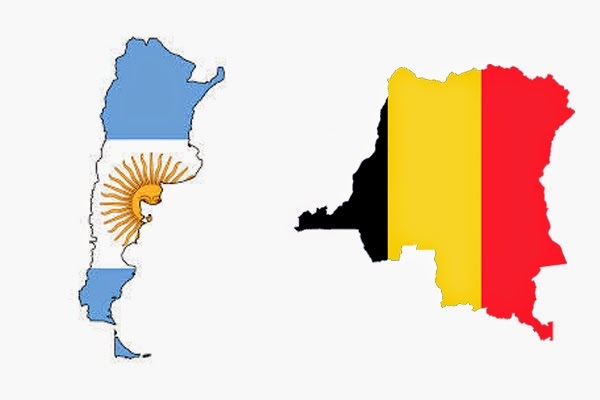 It's all come down to this one last game: Argentina vs. Germany. For Argentina so far, I've been through wine (Malbec), beer (Quilmes), tea (Yerba Mate), and cocktails (Fernet and Coke, the Argentina Cocktail, an Argentinian aperol spritz). For the big match, it's the Bagley Gimlet from bartender Federico Cuco, which is made with gin, Hesperidina, lime juice, ginger, and Legui. Get the recipe. 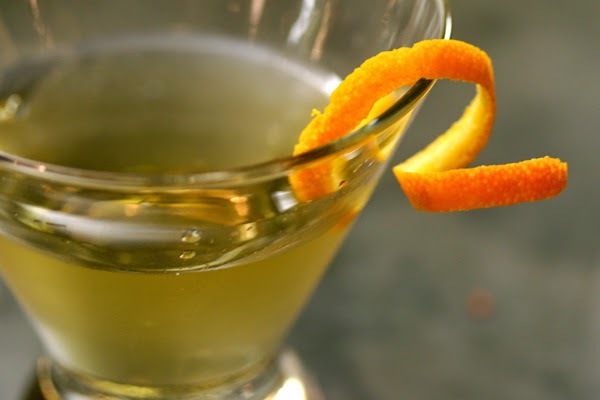 Hesperidina is an herbal orange Argentine aperitif which was invented in 1864 by an American immigrant Melville Sewell Bagley in Buenos Aires. Legui is an Argentine herbal, rich liqueur. 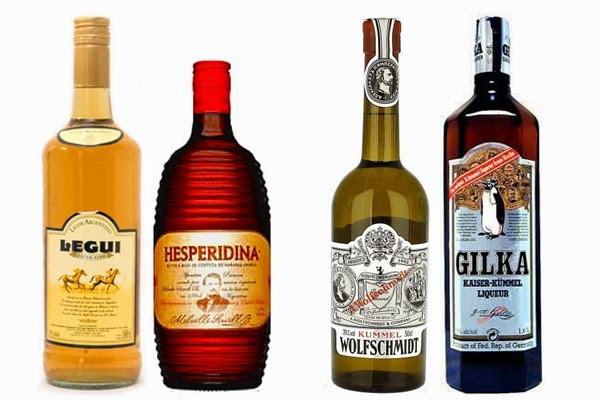 Germany has worked their way through beer (Augustiner Pilsner), wine (Karthäuserhof riesling), beer (Spaten), gin (Monkey 47 Schwarzwald), sour ales with sweet syrup (Berliner Weisse mit Schuss), liqueur (Jäger Float), and now versus Argentina it is going to be Kümmel. In German, kümmel means both caraway (Echter Kümmel) and cumin (Kreuzkümmel). It's a sweet, clear liqueur that is flavored with caraway seed, cumin, and fennel. Wikipedia notes, "In the UK, it is a popular drink at many of the more traditional golf clubs." From my experience, this is true, since I have been offered Kümmel a number of times after dinner. It also works in cocktails and The Silver Bullet is one that stood out for me. It's made with 2 parts gin, 1 part kümmel, 1 part fresh lemon, that is shaken hard with ice, strained into a chilled cocktail glass, and garnished with a lemon twist. 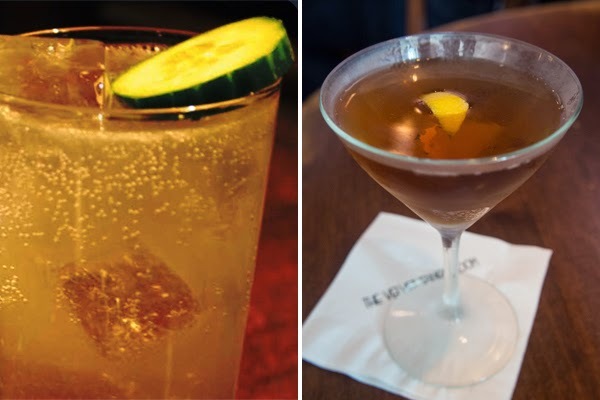 The cocktail originated in the Savoy Cocktail Book. The second last game of the World Cup and this will be a let down for both of these teams that had high hopes of being in the final. How to represent these teams when the classics have already been represented? Since the world cup is coming to an end in Brazil, the Sunset In Rio is a perfect name for a last cocktail. Created by Pete Nevenglosky, one of the Avua Cachaça founders, the Sunset in Rio is made with 2oz Avua Cachaça Prata, 1oz limeade, 1oz soda water, 1 squeezed lime, served on the rocks and garnished with a slice of cucumber. The Netherlands national football team is known as the Oranje after the House of Orange-Nassau. They also hold the unfortunate record for playing in the most World Cup finals without ever actually winning it. They didn't make it that far this year. In celebration of the Oranje, I picked the Martinez #1 cocktail made with 1.5oz Genever oude (an older style of genever that is maltier and sweeter than jonge), 1.5oz Martini Rosso, 1/8oz Orange Curaçao, 2 dashes Angostura bitters, stirred over ice, strained into a chilled cocktail glass, and garnished with an orange twist. Recipe credit: Diffords Guide. The World Cup is coming down to the wire with four teams left. The first semi-final match up is Brazil vs. Germany. Another classic Brazilian drink is the Batida which is a Brazilian milk shake often made with the national spirit cachaça, fruit, coconut milk or condensed milk. A strawberry batida is made with 2oz. Leblon cachaça, 2oz condensed milk, 4 strawberries, 1 teaspoon of superfine sugar, which is blended together until smooth, poured into a tall glass, and garnished with a strawberry. 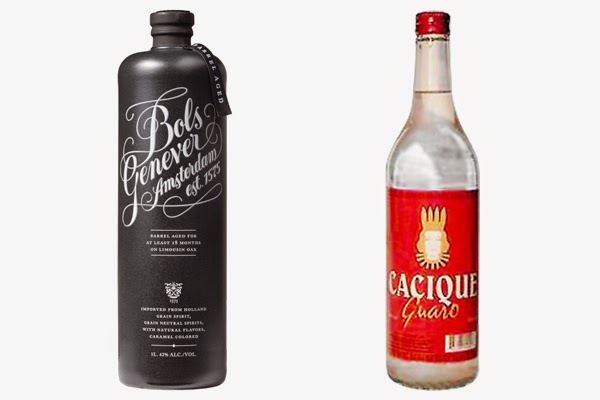 Get the recipe from Leblon cachaça. For Germany, it's going to be Jägermeister. While amaro keeps on trying to have a moment, Jäger seems to be stuck in that college shot arena. It's made with 56 herbs and spices and is made in Wolfenbüttel. You could drink it the classic way, chilled in a shot glass, or as a shot with peach schnapps and cranberry juice (I don't think so), but the one drink I did find that sounded pretty good is the Jäger Float. It's 1.5 parts Jägermeister, 3 parts root beer with a scoop of vanilla ice cream on top. Get the recipe from Jägermeister. Another genever cocktail again for the Dutch side of the draw, but this time with Barrel Aged Bols Genever. The Dutch Oven is a cocktail from bartender Jackson Cannon of the Hawthorne in Boston, MA and was published by Serious Drinks. It's made with 2oz Barrel Aged Bols Genever, 1 capful of soda water, 3 dashes of Peychaud's Bitters, 1 dash Regan's Orange Bitters, 2 sugar cubes. 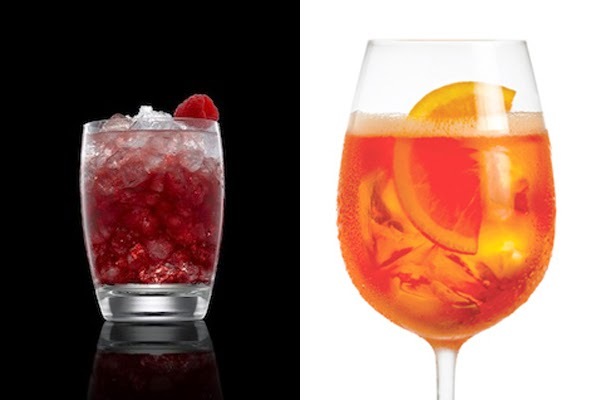 The sugar cubes, bitters, and soda water are muddled in a glass, the genever and and ice are added, stirred, is strained over a large ice cube in an old fashioned glass, and is garnished with a grapefruit twist. Another drink made with Guaro, the traditional liquor (aguardiente distilled from sugar cane juice) is Guaro and Fresca soda. It is also often mixed with fresh juices, but the Fresca idea caught my eye. Mix 2oz of Guaro with 3oz of Fresca over ice in a highball glass, garnish with a half slice of grapefruit. Super simple, a little spirited, and refreshing. I'm going a little more island for this match up using Martinique rhum agricole, since Martinique is an overseas region of France. 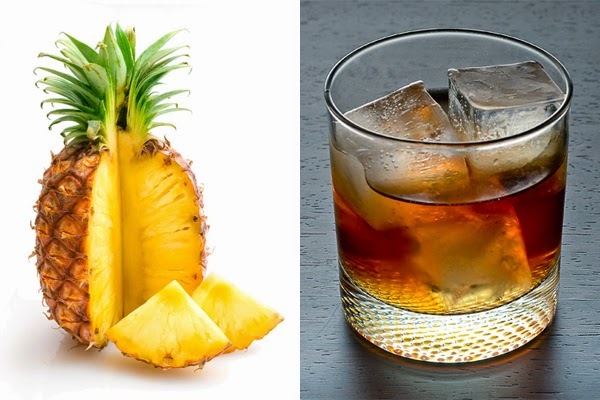 The classic cocktail for rhum agricole, which is rum made from freshly squeezed sugar cane juice rather than molasses, is the Ti'Punch. It's a simple, but pure expression of the funkier style of rum, made from 2oz rhum agricole, lime juice from half a lime, and cane syrup (to taste anything from a teaspoon to a tablespoon). The traditional rhum to use is a white rum, but a richer, more elegant version can be made with an aged rum. As for the rhums, I love Clement or Rhum J.M. You can find Martinique can syrup around, but it's pretty pricey. A cheaper option is to by Sugar In The Raw syrup. 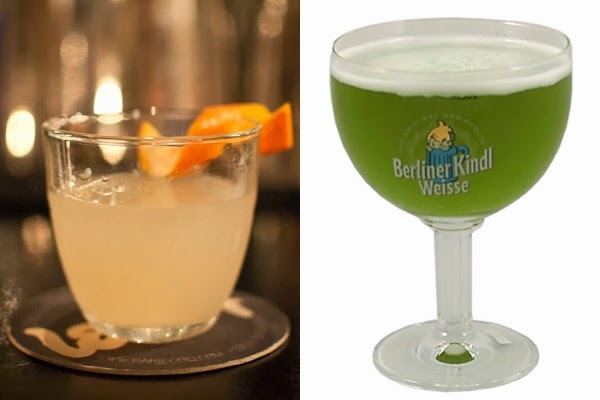 Berliner Weisse mit Schuss is a German ale that is sour, tart and fruity (Berliner Weisse) served with a sweet syrup (mit Schuss). The beer is only brewed in Berlin and is so tart that is almost never consumer straight, without the extra syrup. 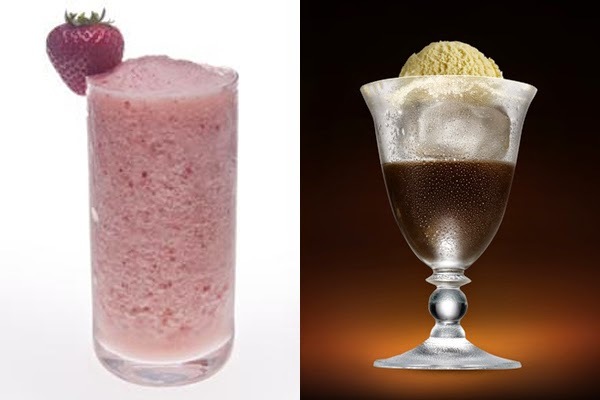 The flavored syrups generally used are raspberry or woodruff making the drink more reddish and bright green respectively. The shot of syrup is added to the glass first and the beer is poured over it. More info. A huge game for both teams this afternoon. Proud of the US making it this far and love the guys playing in the Belgian team (I used to live there). What's the most American of cocktails? My choice would have been the Manhattan, but I've done that one already. It doesn't get more American and simple than the Mint Julep though... just mint, sugar and bourbon. 5 or 6 leaves of mint in a chilled glass, add sugar and muddle, pack with cracked ice, and pour your favorite Kentucky bourbon over the ice. Give it a good stir until chilled, add a little more ice and garnish with a little sprig of mint. For Belgium, I found a recipe for a Belgian beer cocktail that sounds really interesting. 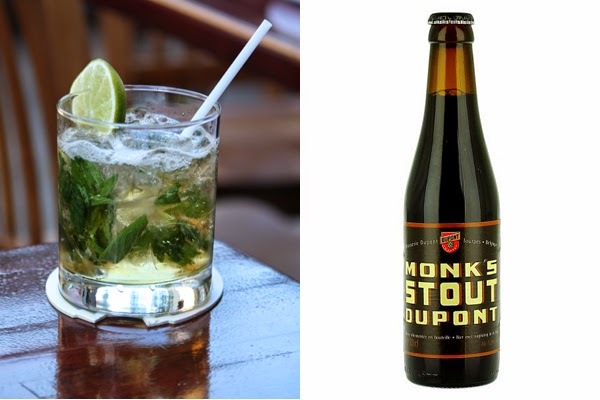 The cocktail is called the Dark and Stoutly and is made with 1.5oz ginger habanero syrup, 1.5oz aged rum, 0.5oz lime juice, 5oz Monk's Stout that is shaken over ice, strained into a glass with couple of large ice cubes, and garnished with a lime wedge. The recipe is from Adam Seger and can be found here. Mate is one of the national drinks of Argentina. It's a caffeine heavy infusion of yerba mate dried leaves that is steeped in hot water. Outside of drinking, when you think of what Switzerland produces, it's chocolate. So, there must some good chocolate liqueurs produced there. 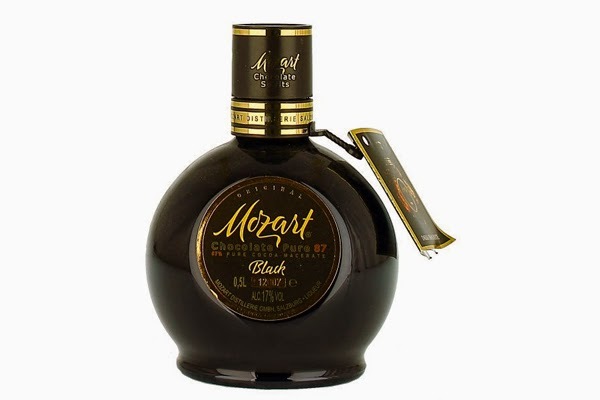 Mozart makes a range of chocolate liqueurs from milk to gold to dark to white. I'm going with the rich dark chocolate Pure87 Black liqueur. It's made of dark chocolate, dark roasted cocoa, Bourbon vanilla and distillates. Labels: Argentina, Drink the World Cup, Liqueur, Mozart Pure87 Black, Switzerland, World Cup, Yerba Mate.